Largest connected skiing area in this area. Downhill runs with over 1000m difference in altitude promise varied piste fun – perfectly connected with modern lifts and cable cars. Ideal for skiing pleasure! 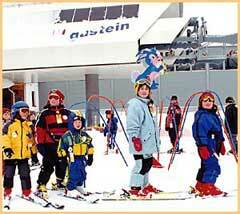 We would recommend the Judau lift in the skiing centre in the Angertal Valley for beginners. Especially popular: the Hohe Scharte Nord (north) (marked on the piste plan as downhill run number H 1) – and with a length of 8 km and a difference in altitude of 1,440m it is one of the longest downhill runs in the Eastern Alps. Hofgastein is a spa town as well, but is prettier with more traditional buildings and a traffic-free centre. It is mainly a hotel resort and most of the better eateries are found in the 50 or so hotels. For non-skiers there are lots of activities including the baths, but as with Bad Gastein some may not warm to the subdued ambience. It is also important to check the location of your accommodation, as that found in the centre has quicker access to the gondola and the skiing. 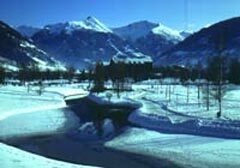 There isn't too much to choose between the 2 resorts, but Hofgastein might just shade it, as it's prettier and closer to the slopes. Quieter spa town than Bad Gastein which shares the same extensive ski area.